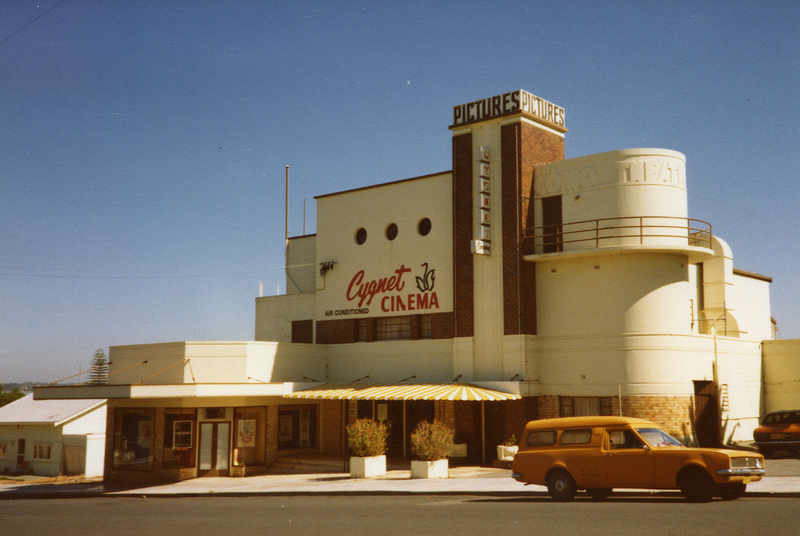 At the beginning of this year the iconic Cygnet Theatre in Como was under threat of closure. Due to changing technologies in the film industry, the 75 year old theatre had to upgrade it’s film projectors or close down. Residents in the area spoke up and expressed their love for the theatre they visited in their younger days. 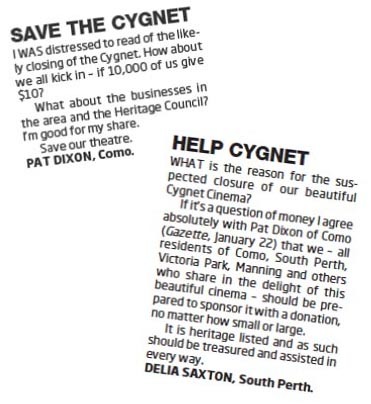 Local resident and former Councillor Peter Best was particularly vocal and asked residents to help Save the Cygnet Cinema. Within a few months, action was taken and the Stiles family pledged to do whatever it takes to keep the cinema’s doors open (Colin Stiles’ father, James, built the cinema in 1938). Today, the Heritage Council announced the 24 heritage projects in WA to receive funding under the 2013-14 Heritage Grant Program. Amongst those grant recipients is the Cygnet Theatre. Under the competitive Heritage Grant Program, funding of a total of $1.26 million is being contributed to private owners of State Registered locations to undertake urgent conservation works. Each grant allows for up to $100,000 and owners are required to match funds to the project. Click here to view details for all the successful projects in this round of funding. We’re happy to hear that the Cinema will continue to live, in Como and in our hearts!